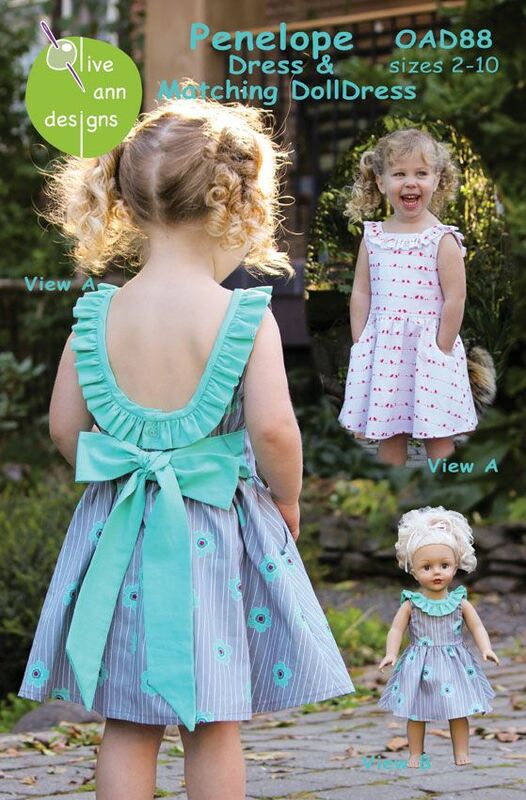 A fun little dress for all ages that works for both play and dressy time. Cute ruffle outlines the neck and scooped back. The dress has a fully lined bodice that buttons in the back. Sizes 2-6 have a sassy sash for a large bow and sizes 7-10 have a smaller tie. 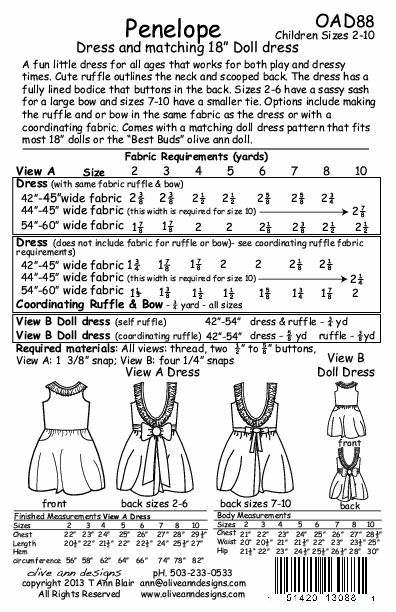 Options include making the ruffle and or bow in the same fabric as the dress or with a coordinating fabric. 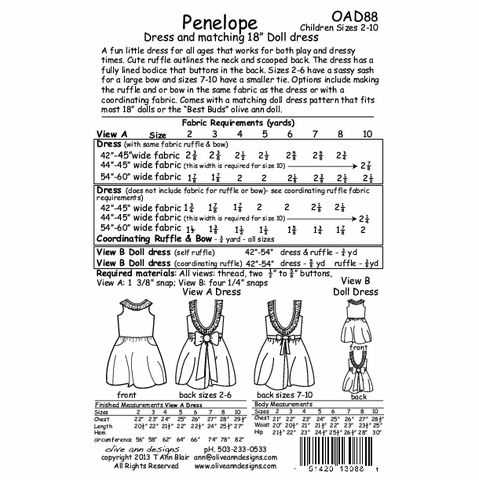 Comes with a matching doll dress pattern that fits most 18'' dolls or the "Best Buds" Olive Ann doll.